How to use WhatsApp in Morocco? We live in the US and we used to Skype with our families every day. Now we can’t and we miss them a lot. I’m 20 years old and I’m Moroccan and I love my parents! Such letter we can see after recent VOIP ban in Morocco. Staying in touch with family and friends is extremely important for millions of people living abroad. How can we help these people while the government of the country does not do anything? We can help to unblock VOIP Services in Morocco! We will show you how to unblock WhatsApp in Morocco, because according to recent study, WhatsApp is the most popular VOIP service in Morocco in 2016. But surely, you can use this solution for Skype, Line, Viber, SnapChat and any other Voice over Internet Protocol service. We will talk about the most secure and safe method that works in 100%. This is VPN – Virtual Private Network. VPN is a secured tunnel inside network connection that masks real IP address and encrypts all you traffic. Under the VPN it looks like you are surfing from USA or Europe where WhatsApp is not banned. So with VPN you can easily unblock WhatsApp, Viber and Skype in Morocco. You can use VPN on any iOS and Android device. You do not need any specific application to setup VPN in your gadget. Since VPN is a system feature you can setup vpn in a few minutes without any Android and iOS application. Below you can find Sahrzad VPN setup guide for Android devices. Why Use VPN in Morocco? Many people ask why use VPN for free VOIP services? With VPN you can save a lot of money on your International calls from Morocco! Buying a VPN account for a long period (for one year for example) and with 15% discount you will pay only 20 cents a day and use free VOIP services to stay in touch with your family!!! And the last: we offer you free trial to be sure Sahrzad VPN works for you! Early this year three main Moroccan telecom companies (Maroc Telecom, Meditel, and Inwi) blocked VOIP services. Since that time Internet users in Morocco could not call inside and outside the country using free applications such as Line, Whatsapp, Viber and Skype which work through 3G and 4G internet. Telecom service providers confirmed that they blocked only VOIP services in these applications while pictures, videos and text messaging still work. For now the applications still work in Wi-Fi networks. However the most possible they will be restricted within the next two months. VOIP services are highly important in keeping families connected with their relatives and friends abroad. What people think about this restriction? We all understand that the main reason of VOIP blocking is money. The commercial provision of VoIP services to the public can only be done by telecom operators with a license. As long as free applications such as Line, Whatsapp, Viber and Skype are offering VOIP services the same as telecom providers but much cheaper of even free of charge, they can be blocked. The absence of a license lets Moroccan telecom providers the legal right to block using VoIP services through these applications. OK VOIP is blocked – what can we do? There is a good solution to this problem. You can unblock VOIP using a VPN! VPN is a virtual private network. It hides your IP address, making you secure and private. More about vpn. As far as your IP is changed – you can bypass Moroccan Internet limits! Feell free and use any VOIP application you like in Morocco: Line, WhatsApp, Skype, Viber. There are many vpn services you can choose from. You can use VPN on any Android or iOS device. Here you can find simple step by step vpn setup guides for your device. Setup VPN connection on your device. That is all – enjoy Skype, WhatsApp, Viber and others VOIP services in Morocco! We have tested several vpn providers which are good for VOIP in Morocco. Last days we have received a lot of questions and letters from people from Morocco. How to unblock Skype in Morocco? How to access Skype from Morocco? Can I use Viber from Morocco? It is possible to use WhatsApp in Morocco ? Why I cannot use VOIP in Morocco? We have investigated the problem and find out that recently most of Internet calling services and messengers were blocked in Morocco. Morocco: Skype, Viber, Facebook and WhatsApp calls were blocked by telecommunication service providers (including the Telcos, Maroc Telecom, Meditel, and Inwi). This violates the principle of Network Neutrality and the fundamental rights of people. People from Morocco are lifting their voices to fight for their right to free expression. They launched multiple petitions on Change.org and Avaaz immediately after the three leading telcos shut off access to VoIP services. Thousands of people have already signed the petitions, which advise the national telecommunications regulator to investigate the blocking, and which also call on telcos directly to end their illegal restrictions. We believe that internet blocks are a violation of human rights and must be stopped. However while the restrictions are still working you can avoid them using VPN solution. VPN is virtual private network that makes you secure and anonymous in the Internet. You IP address is hidden behind the VPN and you can access any service you like. This is safe and secure solution. You can use vpn on any device that supports vpn technology with Windows, Mac OS, iOS, Android and others platforms. 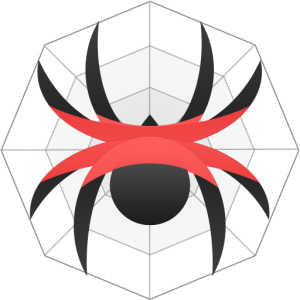 Now you can get Free Spider VPN application from Amazon!